I did a bit of research on bird houses. 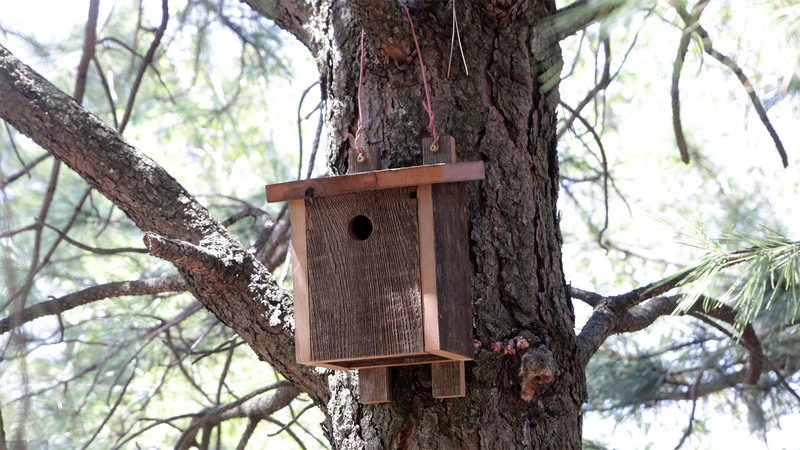 I found the oak titmouse needs about a 1.25″ hole, and a house finch needs about a 1.5″ entry hole. The house should be about 5 to 6″, and maybe 8 to 9″ tall. Do a little research for the types of birds you have. I also let the fence boards dictate the dimensions somewhat. I put a 10 degree tilt on it for the roof. 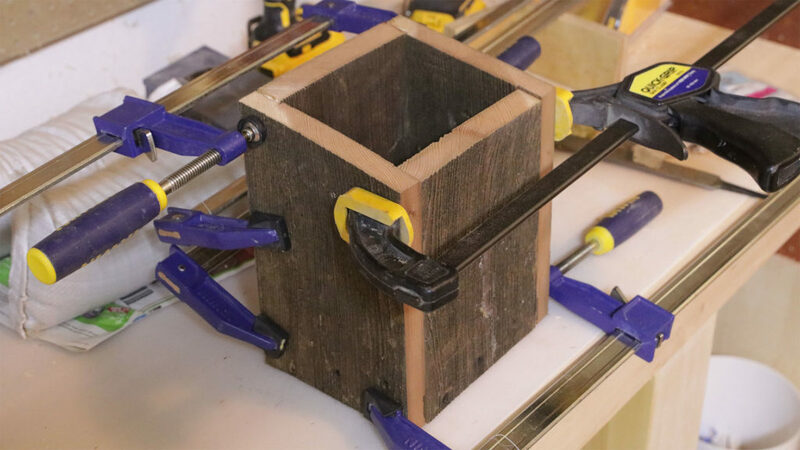 The articles said not to put a perch or dowel under the entry hole, as this just gives the predators something to hold onto when trying to get in. The nesting birds can easily get in without a perch. Also they said to put some small holes up near the top for ventilation, and some in the bottom too. I tilted all these holes upwards, so water would tend to want to run out. I used Titebond III waterproof glue, and 1.25″ screws that won’t rust to make the bird house. I’ve never used the Titebond III waterproof glue for an outside project before, so for me, this will be a bit of an experiment to see how that holds up over the years. First of all, I carefully checked for nails. I don’t need a nail ruining my day in my SawStop saw. Activating the brake accidentally would be a costly mistake. Then I cleaned up the edges so when I made it, they would glue together well. That was my first mistake; I should have only cleaned the edges of the front and back pieces. I ended up putting rabbets in the sides, and could have left those edges as they were. I didn’t really plan exact sizes for anything, and just cut pieces to whatever length, keeping in mind the 5-6″ dimensions for width and length, and 8 to 9″ tall. The top of the front and back pieces are beveled at 10 degrees, for the roof which is at a 10 degree angle. 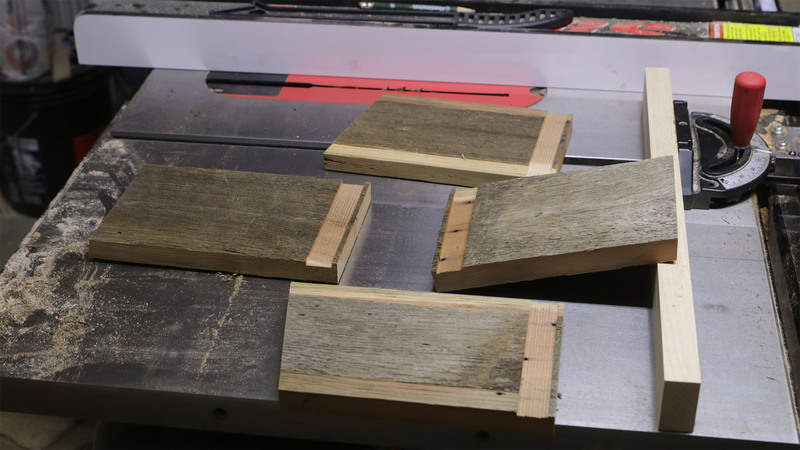 I started by cutting the sides with the top at a 10 degree angle, then used that piece to determine the heights for the front and back pieces. The four sides cut out, with a 10 degree slope for the roof, rabbets in the sides, and a dado on each piece for the bottom to fit in. 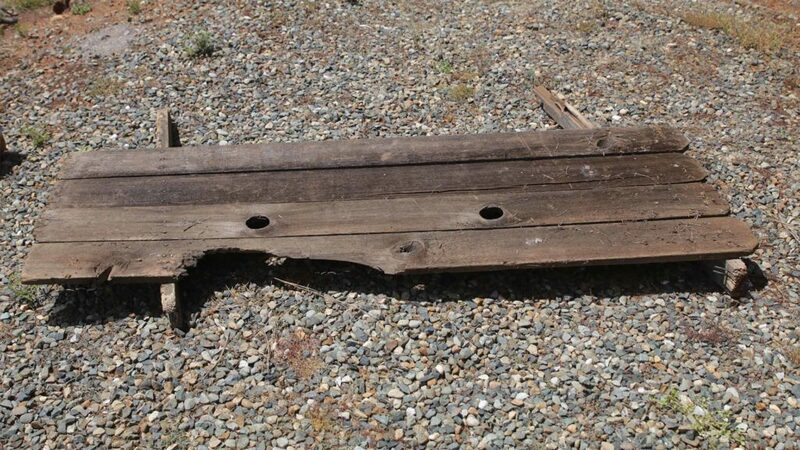 When cutting the pieces out, I tried to make it so any nail holes from the old fence were in places where it wouldn’t matter, very near the bottom , or right up under the roof piece. Notice above the nail holes are across the dado for the bottom piece. The birds won’t get wet from those. In the image above, the front piece is just sitting there, not glued, to help keep it square. The front piece is removable so the old nests can be cleaned out. I just screwed the front piece on by the sides to hold it in place. I’ll drill the entry hole in later. After this dried, I drilled countersink holes in the sides, and put screws in. I mounted two narrow boards on the back that I attached screws to the top for putting a wire around and hanging it from a branch. Each of those boards has a small dado in it, so it will fit around the roof overhang (which I kept minimal in the back of the house). I ended up just gluing the tops on, after I chiseled a shallow dado for the sides to fit in. This dado will let any water running along the bottom edge of the top to not be able to run into the inside of the birdhouse. Should I have also screwed the tops on? I don’t know. Another experiment to find out how that works over the years. I hope the birds are happy! In the past, all birdhouses I’ve ever had are used pretty much every single year, so I expect these to be used soon.